The Langham Hotel in London, which comprises restaurants Roux at the Landau and the Wigmore pub, is to launch a new cookery school that will be fronted by top chefs including Michel Roux Jr and Chris King, and which promises to reveal “trade secrets” to its students. Called Sauce by The Langham, the school will offer a range of classes from core skills such as knife skills, baking and sauce making to more complex techniques and masterclasses. The school and its facilities will be located at the Portland Place hotel, and will teach groups of up to 12 at a time with standard sessions starting at £150, and premium classes from £250. 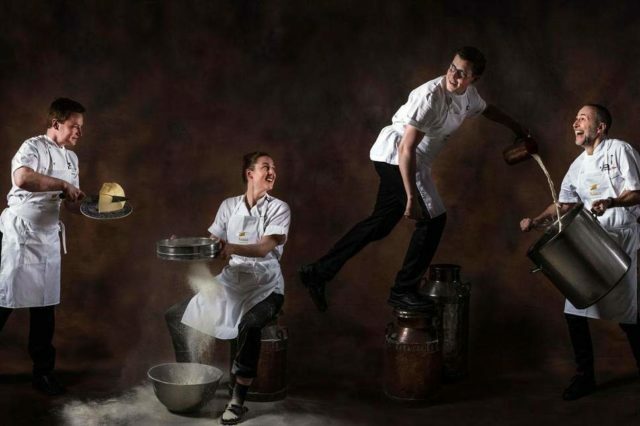 The hotel’s executive pastry chef Andrew Gravett will lead pâtisserie courses, while students will also be offered the chance to explore the Roux archive through masterclasses with Michel Roux and hotel classics with Chris King. The majority of classes will be overseen by kitchen manager Millie Simpson, who’ll be helped by the hotel’s senior sous chef, Quentin Plateaux. “We have some of the most innovative and dynamic minds here within The Langham’s restaurants and bars, which makes our jobs engaging and exciting,” said The Langham managing director Bob van den Oord.